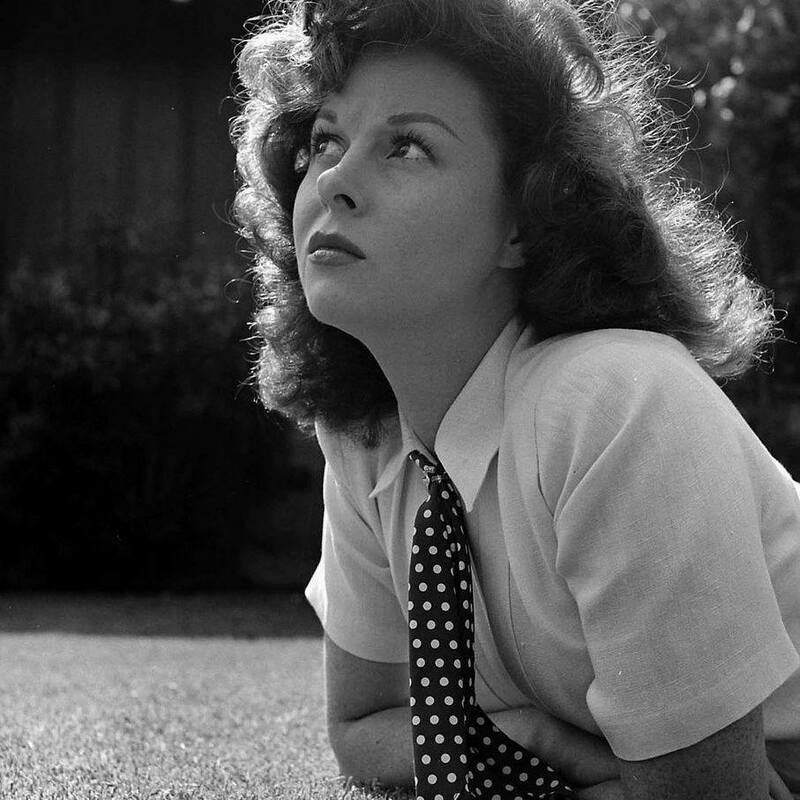 After giving birth to twins, the first film Susan Hayward made, released in 1946, was the great drama Deadline at Dawn. It’s a mystery; it’s film noir; and it’s a romance. Susan Hayward plays her character June Goth perfectly, mixing just the right amount of indifference and compassion. A sailor named Alex Winkley (Bill Williams) wakes up somewhere he doesn’t remember being and finds a tremendous amount of cash on him. He doesn’t know where it came from and it takes some time and investigation to find out who the money belongs to. Not long afterwards, he meets June in a dance hall, where she works all hours of the night. The expression she has pasted on her face during every dance indicates how she feels about this thankless, stale job. After she dances with Alex, they start talking and decide to get something to eat, but first she wants to go back and change her clothes. The black dress she changes into is the only thing she wears for the rest of the movie. They start talking about each other’s lives and it’s easy to tell how much life experience June has on Alex. But she finds him endearing him, calling him a “baby.” He suddenly remembers he got the money from a woman named Edna Bartelli (Lola Lane), whom he spent time with the night before. But when they go up to her apartment to give it back, they find her dead. Thus begins the search for the murderer and the end to a great mystery. Along the way, they meet Gus Hoffman (Paul Lukas), a cab driver. He takes them to and from their destinations and they befriend him. He is an older man with a lot of wise words and a lot of pain. Edna had an ex-husband named Sleepy Parsons (Marvin Miller), a blind man who is a suspect in her murder, but who has a heart attack when threatened by Edna’s brother, a tough man named Val (Joseph Calleia). When the mystery is solved at the end after a long grilling of the number one suspect, Alex Winkley… it is a surprise to them all and a direct connection to Gus Hoffman, the cab driver. Marvelous film with a great storyline, consummate acting, and shadowy backdrops. The entire film takes place during one night and is very suspenseful. Although he looked Irish, often played Irish characters and had an "Irish" stage name, his real name was Joseph Sauers and his ancestry was German. Married to June J. Golden from 1937-1960 (her death). They had five children. June Goth: Call me June. It rhymes with moon. June Goth: If you hear a peculiar noise, it's my skin creeping. June Goth: [Walking into Edna's appartment and seeing that she has been strangled] I hear the whistle blowing. June Goth: Who did it? You? Alex Winkley: You mean you think I did it? Alex Winkley: Don't look at me like that. I think I'd better leave. June Goth: This is New York, where hello means goodbye. In case you were wondering why I included a few facts about the actor Joe Sawyer, it's because I spotlight one of the actors in the film every time I do a review. Desiree, thank you for posting your review here. You did a great job on the review, and I just wanted to share it here. I love that film, "Deadline At Dawn." It has that noir flavor and the stark black and white mystery that I really enjoy. Susan is beautiful in it and the acting and the story is so enjoyable.